Apple's iPhone is probably the most-hyped gadget ever created but it is not problem free. Hopefully you don't need to look for free iPhone data recovery solutions, but if you would like to know how to recover lost iPhone Data free as your iPhone lost data after iOS 8.1/8/7.1/7 update, jailbreak, factory reset, etc. then read on. 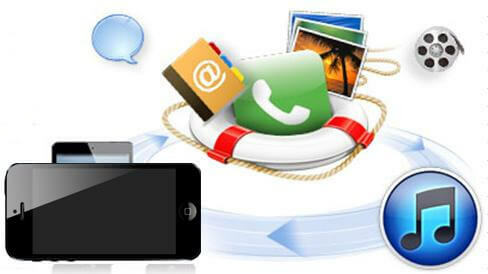 To recover iPhone, we have to use iPhone backup which was created when we backed up iPhone or synced iPhone with iTunes. Then we should get some knowledge as to where to look for it. 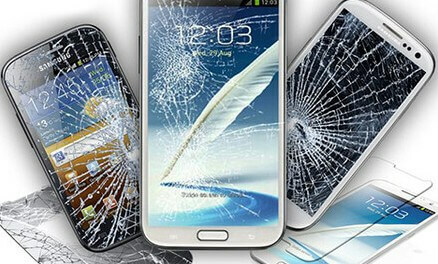 Or we could get free trial iPhone Data Recovery, which gives another data recovery choice. And it works for free iPhone 4 data recovery, free iPhone 4S data recovery, free iPhone 5 data recovery, as well as iPhone 6/6 Plus/5S/5C data recovery. Where iPhone backup stores depends on what OS you are running. Here's a table for your reference. For Mac OS the (~) symbol signifies your home directory, which is the same place all your other documents and information are stored. Under the backup directory, you will see a directory which looks like a unique ID. Find files with the *.mdbackup extension. The .mdbackup files are the actual backups of all the applications and settings of your iPhone. You can't view these files, because they are what Apple calls Binary plists. And to decrypt them, you ideally need a Mac and the utility called iphone-backup-decoder. Below are the steps for the command line version of this utility. 1. First make a copy of all the *.mdbackup files to the Mac and ran the following command to zero in on the files that actually had any useful data. Here is a search for how to decode iPhone deleted contacts. AddressBook is the application that stores address book data on an iPhone. It is only named Contacts in the interface. When searched for that string in the backup files, you'll get three files as a result. Open the first file using a text editor. The word AddressBook is in the beginning of this binary file and it also mentions the database name, where all the data is stored. 2. Get to that data base file, we need to use the decoding utility that we downloaded earlier. 3. Then we have the sqlite prompt. To understand the schema of this database we use ".tables" command and you should see the following output. Tips: Besides this solution, we have iPhone Data Recovery tool in completement with this free iPhone data recovery solution. 5. As showing in the pisture above, this is not the contacts we are looking for, but are information of a people. To look for the phone number, look at this table - ABMultiValue. And the two tables are linked through the ROWID and record_id fields in the ABPerson and ABMultiValue tables respectively. The ABMultiValue tables lists all the phone numbers and a quick "select * from ABMultiValue" gave me the answer I was looking for. Now we finally know where all the data is. To collect all the data in a single place, I used the following SQL query. Next use the following command on the sqlite prompt .output backup.txt Which could make the sqlite put all output into the backup.txt text file rather than the console. Ran the above select statement once again and I had all the phone numbers in a nice text file. The above solution is quite helpful and interesting; however it does require some time and basic knowledge on SQL. We can't help wondering: Is there other ways to recover iPhone data? iPhone Data Recovery could be our second choice. 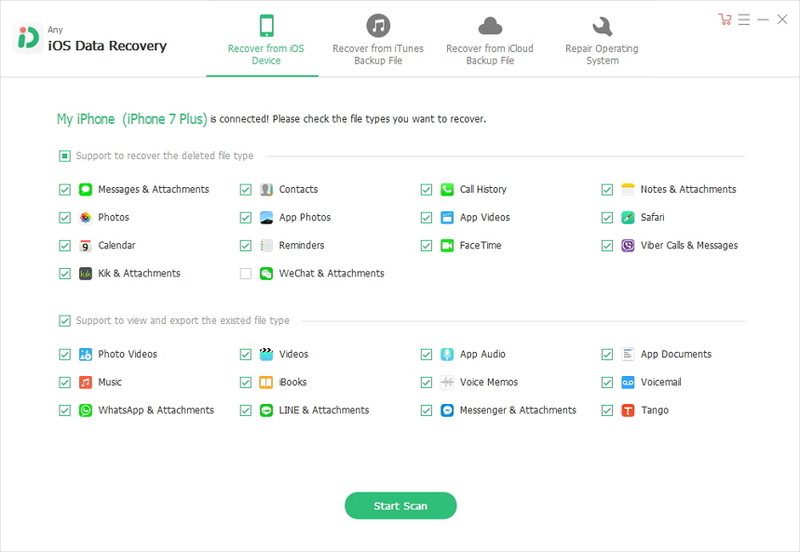 Free download iPhone Data Recovery to see how it works to recover iPhone contacts, photos, text messages, notes, call history and other iPhone contents. Additionally, iPhone Data Recovery supports to recover data from iPhone 5S, iPhone 5C, iPhone 5, iPhone 4S, iPhone 4, as well as the latest iPhone models iPhone 6 and iPhone 6 Plus. And we could just have it work on our Windows OS. No need to copy the backup to Mac. If you are looking for freeware data recovery on iPhone, have a try on it.